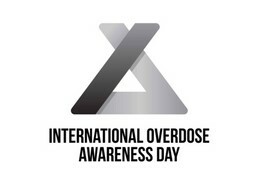 International Overdose Awareness Day is a global event held one day during the last week in August each year and aims to raise awareness of overdose and reduce the stigma of a drug-related death. It also acknowledges the grief felt by families and friends remembering those who have died or had a permanent injury as a result of drug overdose. This is a beautiful, powerful, meaningful evening and a wonderful way to show your support and love for those affected by addiction. In coordination with the Mercer County Prosecutor’ s Office and the Mercer County Prevention Coalition, Robbinsville Township will be hosting this special evening of awareness and remembrance. The event will be held at Community Park on Manor Way and Gordon Road. It will begin at 5:30pm and conclude at 8:00pm. The evening will include guest speakers, vendor tables, a commemorative shoe display (please feel free to bring a pair of shoes worn by or symbolic of lost loved one) and a memory picture table. The evening will conclude with an interactive candlelight vigil.